Showing search results for Bad Relationship Poems. One bad relationship can make you never want to fall in love again! Sometimes it's better to die happy and alone, than to wish your we're dead in a bad relationship. 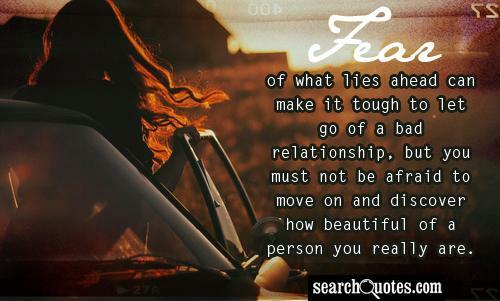 Do not let one bad relationship keep you from finding the love of your life. A good relationship is a give and take from both people...a bad relationship is one person giving and the other taking. A bad relationship will make you feel more alone than when you were single! A bad relationship is like drowning in an ocean. It's pulling you under, but then someone saves you, and they're like a floatie. 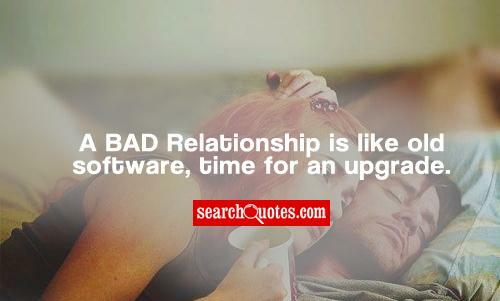 A BAD Relationship is like old software, time for an upgrade.